File folders come in a multiple sizes to accompany the variety of paper sizes used in both personal and professional correspondence. Two of the more common paper sizes are letter and legal. When these papers are filed, they can be placed in both traditional file folders and hanging file folders designed to suspend from filing cabinet brackets. Both letter and legal file folders exist to help individuals and businesses separate paperwork for financial and archival purposes. Letter-size paper at 8 1/2-by-11 in. is the paper type typically run through copy machines and inkjet printers. Invoices, inventory logs and meeting minutes are common documents that would be printed on letter-size paper and subsequently filed in the corresponding folder. Legal-size paper has fewer uses in its intended format and is largely found in law and accounting offices as a copy paper alternative. In these offices the extra 3 in. of paper on a legal sheet can keep a legal document to a one-page length and hold more columnar entries for printed copies of record books. Since legal-size paper is longer than a standard letter-size sheet of paper, it requires a larger file folder. Standard file folders are typically made from manila and kraft paper though some varieties are plastic. These folders separate and organize documents and can supplement a filing cabinet system or operate independently of it. According to Dimensions Guide, a legal-size file folder measures 8 5/8 in. tall and 14 3/4 in. wide in the front with a back panel that extends to 9 5/8 in. tall. A letter-size folder features the same front and back panel measurements, but the width is reduced to 11 3/4 in. Hanging files can hold either loose papers or manila and kraft-paper file folders. Because these files are designed to hold another folder, the legal-size and letter-size hanging folders are larger than their standard counterparts. A letter-size hanging file folder measures 12 3/4 in. wide by 9 3/8 in. tall while the legal-size hanging file measures 15 3/4 in. wide by 9 3/8 in. tall. What Is Paper Size A5? 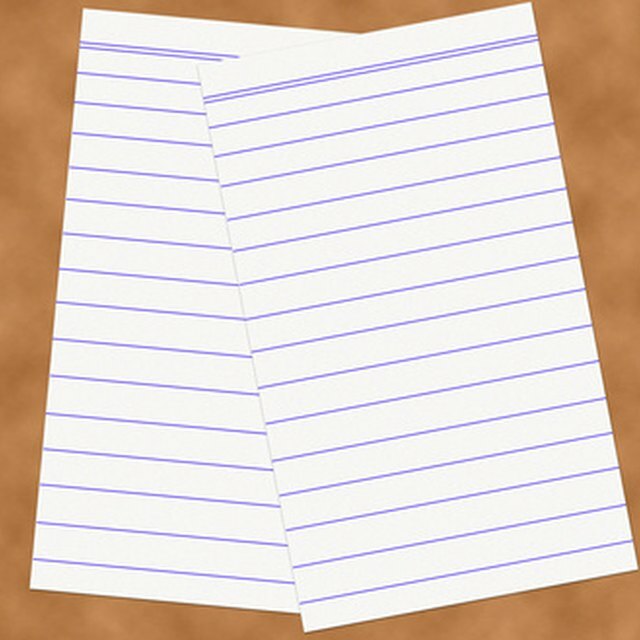 What Is A4 Size Paper? What is the Difference Between Cover Stock and Text Stock? File folders used in preservation and archiving for the National Archives are also manufactured in both legal and letter sizes. These folders are the same size as their everyday counterpart with the legal folder measuring 3 in. wider than the letter size.